View pictures of 6 The Terrace. Recently refurbished in a contemporary style, this large, attractive house sleeps 8 and is only minutes from Walberswick's stunning beach. Wi–Fi access is available. 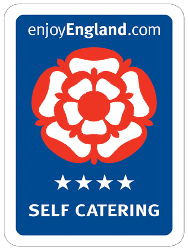 6 The Terrace was recently awarded four stars GOLD by Visit England. There is parking for three cars at the rear. 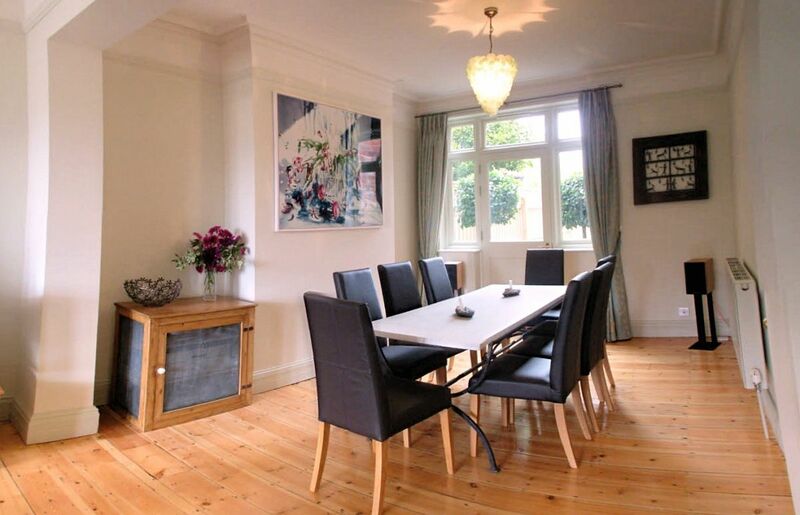 Large Sitting/Dining Room with woodburing stove, TV with Freeview, DVD player and CD player. Dining table seats 8. Door to rear courtyard. Kitchen/Breakfast Room. 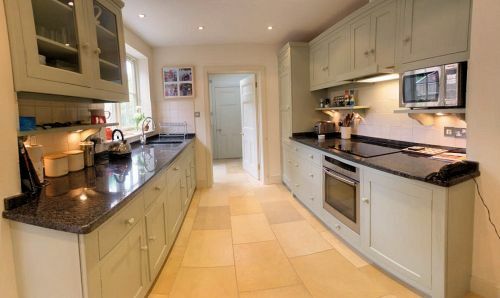 Open plan, well equipped Kitchen with electric hob and oven, dishwasher, fridge/freezer, microwave and underfloor heating. Breakfast area has large table for 8. Double doors leading to rear courtyard. Utility Room. Sink, storage cupboards, washing machine/dryer and door to rear courtyard. Shower Room. 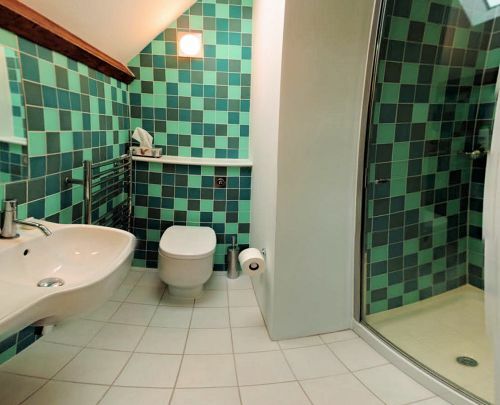 Large shower, WC and hand basin. Bedroom One. 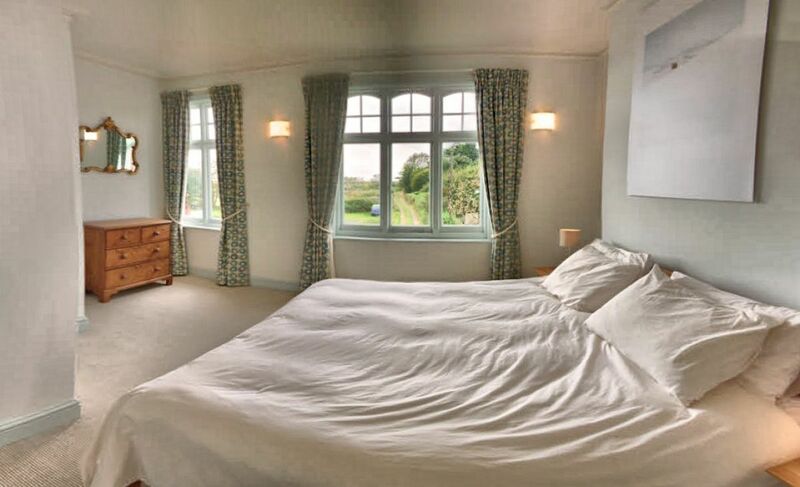 Large Bedroom with sea views, king-size bed and TV. Main Bathroom. Bath with shower attachment, WC and hand basin. Underfloor heating. Bedroom Three. Two full size bunk beds. Suitable for children/teenagers. 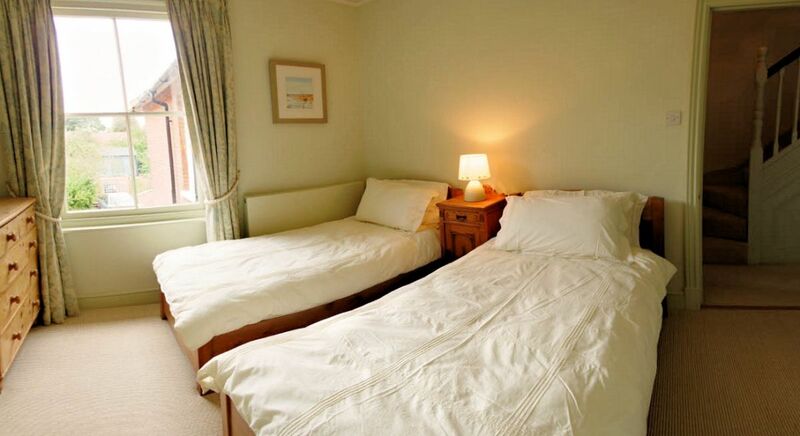 Large Bedroom with king-size bed and en-suite shower room. Ideal parents' retreat! Arrival after 4:00pm, departure by 10:00am. Please note: weekly lets are Friday - Friday. Christmas and New Year only will vary. The light and airy Breakfast Room has plenty of room for eight to sit down together. 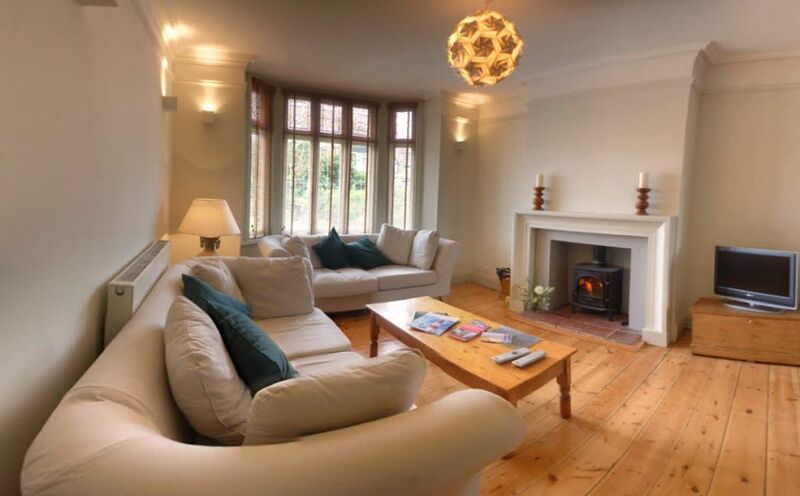 The spacious Living Room features a woodburning stove. The Dining Room table seats eight. There is a door to the rear. 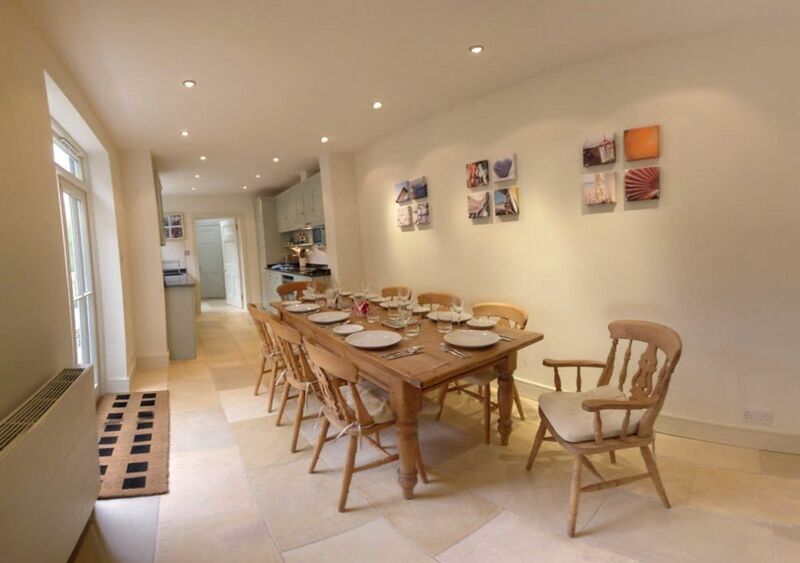 The Kitchen is well equipped with recessed lighting and underfloor heating. Number 6, The Terrace also has a summer house in the enclosed back garden. You can view a total of 9 images of 6 The Terrace, Walberswick by tapping an above image and scrolling through the gallery. The Front Bedroom has a sea view and a kingsize bed.